Though mostly anonymous, the more than 300 African-American faces featured in a new “Everyday People” exhibition at UVA tell powerful stories of strength, resilience and progress. Take a look. 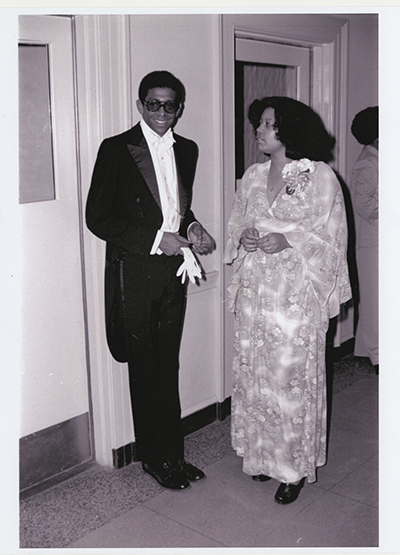 One photograph in the new exhibition he co-curated reminds Ervin Jordan of his own wedding photo. Like him, the groom was at least 6 feet tall, and had to sit down to fit in the same frame as his petite, 5-foot wife. 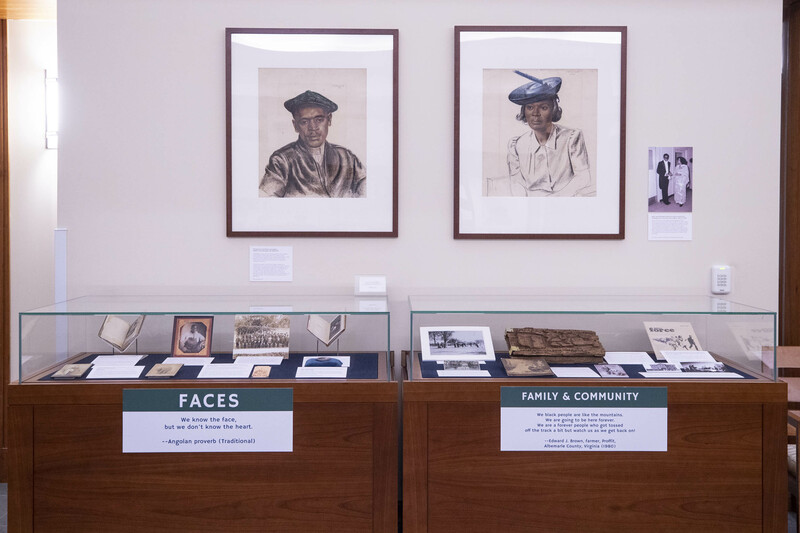 Opened in honor of Black History Month, the exhibition is now on display in the Special Collections Library and will remain there through April 20. It features more than 300 faces, contained in 26 photographs, paintings and other images of African-Americans. 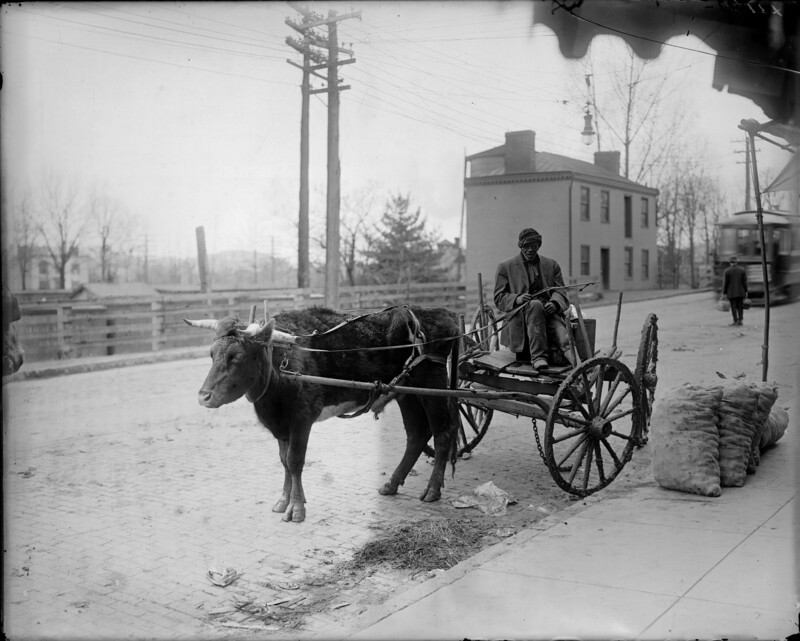 There are a few famous faces – the Obama family makes an appearance, for example – but for the most part, the faces in the photos are, and likely will remain, unknown, like this one of an anonymous man in an ox-drawn cart on Charlottesville’s West Main Street. The photo was taken by Rufus Holsinger, who moved to Charlottesville in the 1880s and took more than 10,000 photographs of local residents, including approximately 600 African-Americans. There are also stories of women like Ella, a former slave cited in the exhibition description posted near the display cases. Ella began life in slavery in Virginia and later worked as a midwife and laundress, eventually saving enough money to buy five acres of land during the 1890s. Ella is also curator Regina Rush’s great-grandmother. Though no photo of Ella remains, other images in the exhibition feature men and women like her. They include a laundress referred to as “Ms. Hattie,” a chauffeur, the anonymous man in the ox-drawn cart, brides and bridegrooms captured on their wedding day. Soldiers returning from the front. Men and women, going about their everyday lives. There is even a photo of two unknown UVA alumni, coming together for a reunion years after graduation. “Many Black History Month exhibits feature famous African-Americans. There is nothing wrong with that, but I wanted this exhibit to be different, to feature everyday people,” Jordan said. 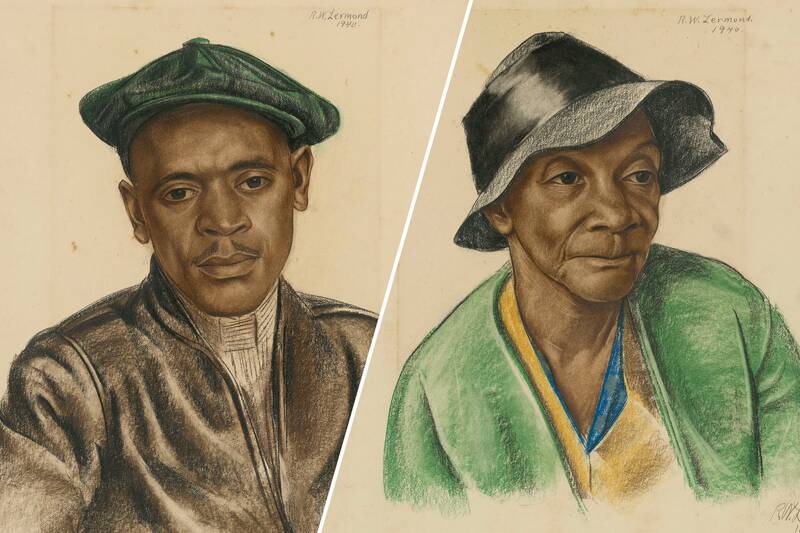 The "Everyday People: Images of Blackness, 1700s - 2000s" exhibition will be on display on the first floor of UVA's Albert and Shirley Small Special Collections Library through April 20. The exhibition is free and open to the public.